I don’t even know how to spell the name of the country. Tzechoslovakia? Cechoslowkya? (Until a few days ago I had an automatic spelling control on my computer, but there has gone something wrong with my Word software. Compared to all the other things that go wrong, this is hardly worth mentioning, and I have decided not to have my day ruined by such details. But sorry for the lousy English in the past few days, and I will do my best to get it fixed as soon as possible.) Tchechoslowkija? 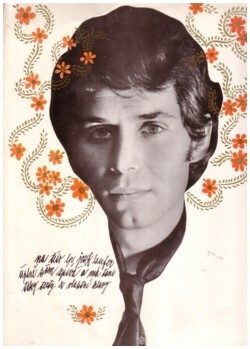 The name of the country is on the label, but I cannot read that right now, because I am recording my favourite track of this LP, Utek z hladomorny. 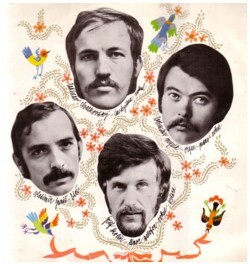 The LP was released in 1969 on the Panton label. The singer is Josef Laufer and he has a band, four guys with moustaches, but I can’t find out if the band has a name. The handwriting on the fold out sleeve is beautiful, but difficult to read, and it is all in Tzechoslowakian of course. 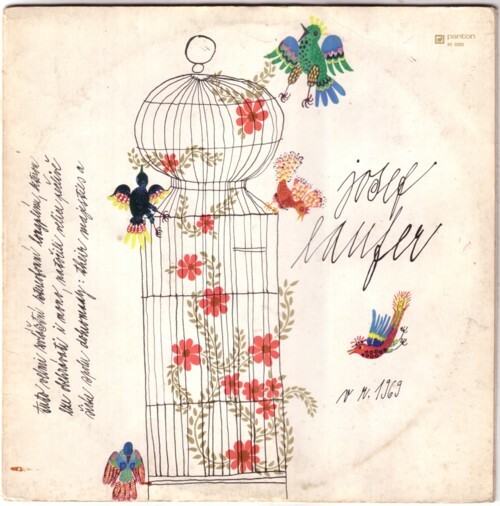 On the cover there is a painting of a bird cage, with five birds outside the cage. Deeeep! It’s now the “Czech republic” anyway so let it rest. Good tune but as usual with Czech beat, horrible, horrible singing. The language is not fit for this kind of music, as opposed to Polish for example, and I can’t stand the way they pronounce everything theatrically. Horrible! Ha ha! Czech music should be instrumental! This tune would be killer if it was too!